Almost exactly 18 months after moving to Ireland I’m finally bound to receive my first Irish credit card. This took longer than I was expecting but at least it should cover a few of the needs I have, although it’s not exactly my perfect plan either. But I guess it’s better start from the top. First of all, I have already credit cards, Italian ones that as I wrote before, they are not chip’n’pin which causes a major headache in countries such as Ireland (but UK too), where non-chip’n’pin capable cards are not really well supported or understood. This means that they are not viable, even though I have been using them for years and I have enough credit history with them that they have a higher limit than the norm, which is especially handy when dealing with things like expensive hotels if I’m on vacation. But the question becomes why do I need a credit card? The answer lies in the mess that the Irish banking system is: since there is no “good” bank over here, I’ve been using the same bank I was signed up with when I arrived, AIB. Unfortunately their default account, which is advertised as “free”, is only really free if for the whole quarter your bank account never goes below €2.5k. This is not the “usual” style I’ve seen from American banks where they expect that your average does not go below a certain amount, it does not matter if one day you have no money and the next you have €10k on it: if for one day in the quarter you dip below the threshold, you have to pay for the account, and dearly. At that point every single operation becomes a €.20 charge. Including PayPal’s debit/credit verification, AdSense EFT account verification, Amazon KDP monthly credits. And including every single use of your debit card — for a while, NFC payments were excluded, so I tried to use it more, but very few merchants allowed that, and the €15 limit on its use made it quite impractical to pay most things. In the past year and a half, I paid an average of €50/quarter for a so-called free account. Operations on most credit cards are on the other hand free; there are sometimes charges for “oversea usage” (foreign transactions), and you are charged interests if you don’t pay the full amount of the debt at the end of the month, but you don’t pay a fixed charge per operation. What you do pay here in Ireland is stamp duty, which is €30/year. A whole lot more than Italy where it was €1.81 until they dropped it on the floor. So my requirements on a credit card are to essentially hide as much as possible these costs. Which essentially mean that just getting a standard AIB card is not going to be very useful: yes I would be saving money after the first 150 operations, but I would be saving more to save enough to keep those €2.5k in the bank. My planned end games were two: a Tesco credit card and an American Express Platinum, for very different reasons. I was finally able to get the former, but the latter is definitely out of my reach, as I’ll explain later. Getting the Tesco credit card has not been straightforward either. I tried applying a few months after arriving in Ireland, and I was rejected, as I did not have any credit history at all. I tried again earlier this year, adding a raise at work, and the results have been positive. Unfortunately that’s only step one: the following steps require you to provide them with three pieces of documentation: something that ensures you’re in control of the bank account, a proof of address, and a proof of identity. The first is kinda obvious: a recent enough bank statement is good, and so is the second, a phone or utility bill — the problem starts when you notice that they ask you for an original and not a copy “from the Internet”. This does not work easily given that I explicitly made sure all my services are paperless, so neither the bank nor the phone company sends me paper any more — the bank was the hardest to convince, for over an year they kept sending me a paper letter for every single wire I received with the exception of my pay, which included money coming from colleagues when I acted as a payment hub, PayPal transfer for verification purposes and Amazon KDP revenue, one per country! Luckily, they accepted a color printed copy of both. Getting a proper ID certified was, though, much more complex. The only document I could use was my passport, as I don’t have a driving license or any other Irish ID. I made a proper copy of it, in color, and brought it to my doctor for certification, he stamped and dated and declared, but it was not okay. I brought it to An Post – the Irish postal service – and told them that Tesco wanted a specific declaration on it, and to see the letter they sent me; they refused and just stamped it. I then went to the Garda – the Irish police – and I repeated Tesco’s request; not only they refused to comply, but they told me that they are not allowed to do what Tesco was asking me to make them do, and instead they authenticated a declaration of mine that the passport copy was original and made by me. What worked, at the end, was to go to a bank branch – didn’t have to be the branch I’m enrolled with – and have them stamp the passport for me. Tesco didn’t care it was a different branch and they didn’t know me, it was still my bank and they accepted it. Of course since it took a few months for me to go through all these tries, by the time they accepted my passport, I needed to send them another proof of address, but that was easy. After that I finally got the full contract to sign and I’m now only awaiting the actual plastic card. But as I said my aim was also for an American Express Platinum card. This is a more interesting case study: the card is far from free, as it starts with a yearly fee of €550, which is what makes it a bit of a status symbol. On the other hand, it comes with two features: their rewards program, and the perks of Platinum. The perks are not all useful to me, having Hertz Gold is not useful if you don’t drive, and I already have comprehensive travel insurance. I also have (almost) platinum status with IHG so I don’t need a card to get the usual free upgrades if available. The good part about them, though, is that you can bless a second Platinum card that gets the same advantages, to “friends or family” — in my case, the target would have been my brother in law, as he and my sister love to travel and do rent cars. It also gives you the option of sending four more cards also to friends and family, and in particular I wanted to have one sent to my mother, so that she can have a way to pay for things and debit them to me so I can help her out. Of course as I said it has a cost, and a hefty one. Ont he other hand, it allows you one more trick: you can pay for the membership fee through the same rewards program they sign you up for. I don’t remember how much you have to spend in an year to pay for it, but I’m sure I could have managed to get most of the fee waived. Unfortunately what happens is that American Express requires, in Ireland, a “bank guarantee” — which according to colleagues means your bank should be taking on the onus of paying for the first €15k debt I would incur and wouldn’t be able to repay. Something like this is not going to fly in Ireland, not only because of the problem with loans after the crisis but also because none of the banks will give you that guarantee today. 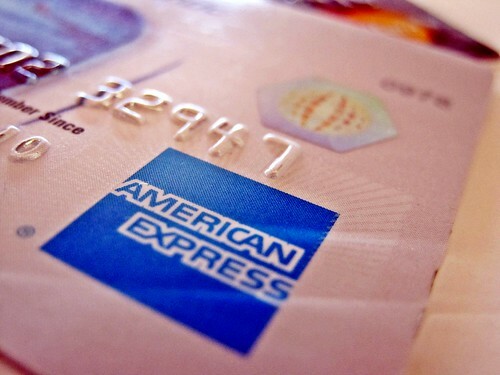 Essentially American Express is making it impossible for any Irish resident to get a card from them, and this, again according to colleagues, extends to cardholders in other countries moving into Ireland. The end result is that I’m now stuck with having only one (Visa) credit card in Ireland, which had feeble, laughable rewards program, but at least I have it, and it should be able to repay itself. I’m up to find a MasterCard card I can have to hedge my bets on the acceptance of the card – turns out that Visa is not well received in the Netherlands and in Germany – and that can repay itself for the stamp duty. Next Post What does #shellshock mean for Gentoo? Not sure where you got Visa in particular not being well received in Germany from.No credit card whatsoever is well received in Germany, and with good reason, why should merchants pay 3% when the native (former EC) cards have 0 to 0.5% (depending on who takes the risk basically) transaction fees? Well, if the reason is to keep away tourists and visitors, then I would say they are reaching their target just fine.As for where did I get that: by being the only one able to pay at the VideoLAN dinner in Berlin last May, as I was the only one with a MasterCard..
Well, first it only is an issue to non-German tourist, which I guess quite a few businesses honestly do not care about.However normally the “solution” is to point the tourists to the closest ATM, thus letting them pay the fees. I am sure it will drive away a good number of tourists, but not getting tourists can easily be cheaper than accepting credit cards for businesses.I wonder if your MasterCard was by chance compatible with the Maestro system: http://en.wikipedia.org/wik… which is quite a bit better supported as German bank cards often support that one.Here in Sweden it is possible to get bank cards that use that system (they are mostly intended for people the banks don’t trust enough or are too young to give a “proper” Visa/MasterCard) and it should work a lot better in Germany. No, I had a Maestro as second-to-last chance, but I did not use that one — the Italian bank system provides Maestro-compatible debit cards by default (credit cards are a separate request), but it might very well be that the presence of Maestro is the reason why MasterCard was accepted.On the other hand, last I knew, it was Visa that insisted that their credit and debit cards are accepted both or none. Interesting to see that others have had same problem as me with Amex. They refuse to provide any useful information to aid in application for platinum card. 4 phone calls, 4 emails and no luck.Will have to give up on the Amex and unfortunately there are no good alternatives. Johnzen, if this helps:Blue/Green/Gold €25k Bank Garantee required.Platnium €35k required.#Banks will give gurantees but you will need allot of money on deposit or in a fund managed by them to get one……. I’m a US resident, but in Ireland a lot, and outside of hotels, barely anyone takes my platinum Amex save for hotels. It’s a status symbol to be sure, but only if merchants know what it is!